Although there is much disagreement about this topic, the truth of the matter is that there is not one type of protein powder that is the “best” for everyone and every purpose. Each type of protein has specific beneficial properties that make it desirable. Protein powders are very popular for good reasons. More convenient than high-protein foods like meats, fish, eggs and dairy; either fat or cholesterol-free or contain only a small fraction of the fat and cholesterol found in high-protein foods; Helpful in ways beyond merely supplying extra protein; Great-tasting and can be used by the whole family. Protein intake that exceeds the recommended daily allowance is widely accepted for both endurance and power athletes. Concerning the benefits of consuming one protein versus another, most athletes can benefit from a combination of different types of protein powder in their diets. The question is…. 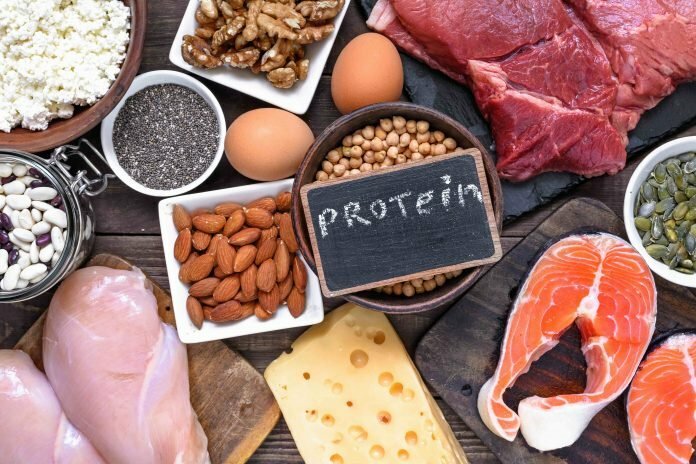 which protein is right for you. Evaluation of a protein is fundamental in determining its appropriateness in your diet. Proteins that are of inferior content and digestibility are important to recognize and restrict or limit. Similarly, such knowledge will provide an ability to identify proteins that provide the greatest benefit. The types of protein used in protein powders can be divided into two categories: animal source proteins and vegetable source proteins, animal source proteins include milk protein derivatives such as Whey, Casein, and Egg white protein. Vegetable source proteins generally include Soy and Rice. There are three primary types of whey protein: whey protein concentrate; has low levels of fat and low levels of carbohydrates. Whey protein isolates; is further processed to remove all the fat and lactose. And whey protein hydrolyses; considered to be the “predigested” form of whey protein as it has already undergone partial hydrolysis – a process necessary for the body to absorb protein, this form doesn’t require as much digestion as the other two forms of whey protein. In addition, it is commonly used in medical protein supplements and infant formulas because of its improved digestibility and reduced allergen potential. Study published in the International Journal of Sport Nutrition and Exercise Metabolism, *whey isolate provided significantly greater gains in strength, lean body mass, and a decrease in fat mass compared to supplementation with Casein during an intense 10-week resistance-training program..
Whey contains all of the essential amino acids and is particularly high in the branched-chain amino acids leucine, isoleucine, valine and glutamine (an immune-boosting amino acid). 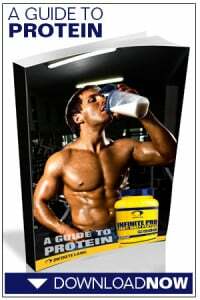 Whey is considered a fast acting protein. If you consume a 30-gram serving of whey on an empty stomach, levels of blood amino acids peak about 1 hour afterwards and return to pre-meal levels by 3-4 hours. This absorption profile makes Whey a very Anabolic protein. In fact, a whey protein meal produces a 68% increase in protein synthesis. It is best to consume a fast-acting protein like whey immediately after an intense workout. In fact, combining whey protein with a high-glycemic carbohydrate is the ideal post-workout meal. 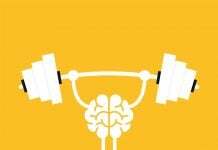 A growing number of studies have found whey may potentially reduce cancer rates, improve immunity, reduce stress and lower cortisol, increase brain serotonin levels, improve liver function in those suffering from certain forms of hepatitis, and reduce blood pressure. Casein is a well-defined group of proteins found in milk, constituting about 80% of the proteins in cow’s milk. While quickly digested whey protein is ideal immediately before and after your workout to help refuel recovering muscles, it’s not optional for consumption at bedtime when your body typically goes without food for hours. A slow releasing protein is considerable more beneficial to muscle repair and re-growth during your sleeping hours. Casein is exactly that – a slow digesting protein that takes 3-4 hours to reach peak levels in blood amino acids and protein synthesis and 7 hours to become fully absorbed. Casein is the opposite of whey. It is an insoluble, slow-digesting, milk derived protein. Casein has been shown to be anti-catabolic in several studies but has no effect on increasing protein synthesis. And because casein also makes you feel less full than whey, it offers a great, between-meal protein snack. Soy protein is a viable substitution for meats. While meat is normally associated with fat content, soy protein is not. Also, soy protein contains all the amino acids gained from eating meat, which are an important part of reducing fat and maintaining healthy muscles. However, soy protein is not an ideal protein because it is deficient in the essential amino acid methionine. Methionine supplementation benefits soy infant formulas, but apparently not food intended for adults with an adequate nitrogen intake. Soy protein content of another essential amino acid, lysine, although higher than that of wheat proteins, is still lower than that of the milk protein casein. Including soy protein in the diet on a regular basis will continue to lower cholesterol over time, producing healthier veins, blood flow and a healthier heart. Doctors say a drop of 1% in cholesterol amounts works out to about a 2% drop in the risk of heart disease. Eating soy foods may help lower your LDL (“bad”) cholesterol by about 3%. This alone makes a strong case for adding soy protein to the diet. Rice protein is a vegetarian protein isolate that is an alternative to the more common whey and soy protein isolates. Brown rice can be treated with enzymes that will cause carbohydrates to separate from proteins. The resulting protein powder is then sometimes flavored or added to smoothies or health shakes. Rice protein has a more distinct taste than most other forms of protein powder. Like whey hydrolysate, this flavor is not effectively masked by most flavorings; however, the taste of rice protein is usually considered to be less unpleasant than the bitter taste of whey hydrolysate. This unique rice protein flavor may even be preferred to artificial flavorings by consumers of rice protein. People who train for fitness, health and sports and who care about nutrition as we all should, choose particular foods for two main reasons: To increase performance and to maintain or improve health. Consuming a variety of proteins in the diet is the overall recommendation for people undergoing resistance training or weight lifting. Knowledge is power. If you go to work on your goals, your goals will go to work on you. Whey products have maintained and continue their position as the gold standard in proteins for bodybuilding and muscle gain. Athletes who combine soy and whey protein in their nutritional regimens may benefit from their different rates of digestion and amino acid absorption. Whey protein digests more quickly, while soy protein digests more gradually. Together, they may provide a more prolonged, deliberate release of amino acids to key muscle groups. Fresh strawberries, Cinnamon and Ice cubes…and Blend. Enjoy.